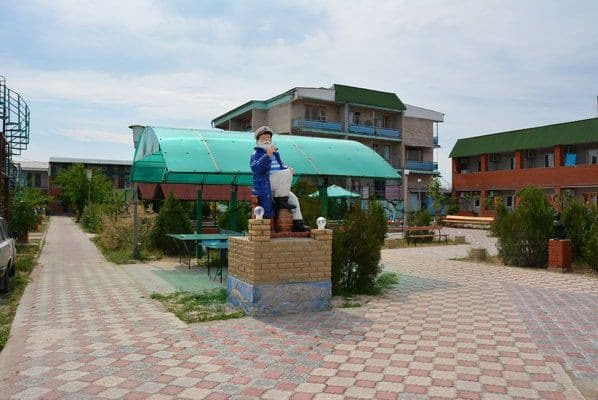 The recreation center "Sea Star" is located in the village of Kirillovka on the Azov coast. The recreation center is located 20 meters from the sandy beach. The beach is regularly cleaned, there is a hill with a swimming pool. 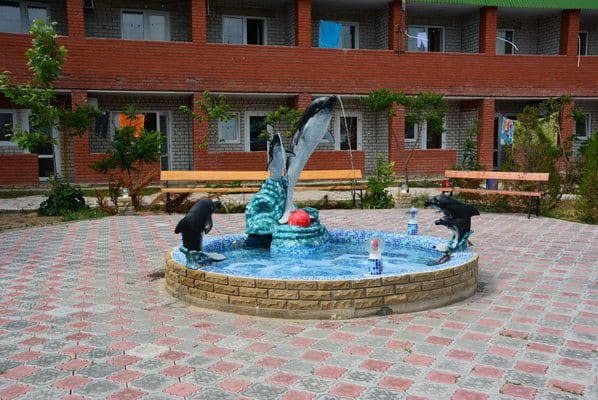 Recreation center "Sea Star", drowning in a green garden, has 2 and 3-bed cottages with all amenities. And also 2, 3, 4-bed rooms in the building with amenities on the territory. By prior arrangement, accommodation with pets is possible. 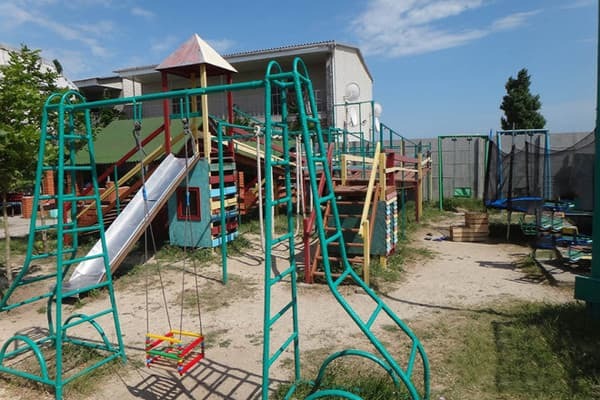 The complex has a protected paid parking (10 USD per day) and a children's playground. For entertainment guests in the territory are billiards, tennis. 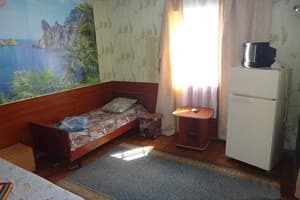 Description of the room: Triple room with necessary furniture: beds, chairs, wardrobe or hanger. Toilet, sink on the block (2 rooms), shower is located on the territory. 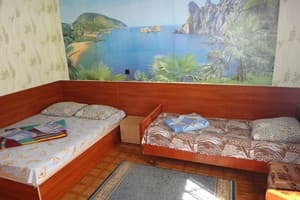 Description of the room: Double room with necessary furniture: beds, chairs, wardrobe or hanger. Toilet, sink on the block (2 rooms), shower is located on the territory. 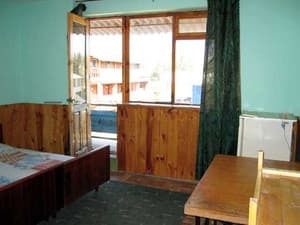 Description of the room: Comfortable room for double accommodation with everything you need. In two storied cottages each room has a separate entrance. 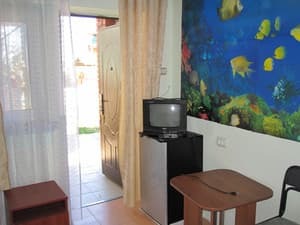 Description of the room: Comfortable room for triple accommodation with everything you need. In two storied cottages each room has a separate entrance. Все было просто на высшем уровне. Нам с детскими очень понравилось.Получили море удовольствия. Бронь - она оказалась не действительной когда мы прибыли на базу, организация желает лучшего!!! Мусор и сорняки на базе. Столовая как-то странно работает,нужно заранее заказывать, меню стандартное,советское, выбирать не приходилось. Соотношение цена-качество.Работа персонала.Отдельное спасибо персоналу.Чистая и тихая . Children under 5 years without a seat are accommodated free of charge. At the service of guests 3 meals a day at the cafe. The dishes of Ukrainian cuisine are offered. You can order 3, 2 and 1 meals a day to choose from. 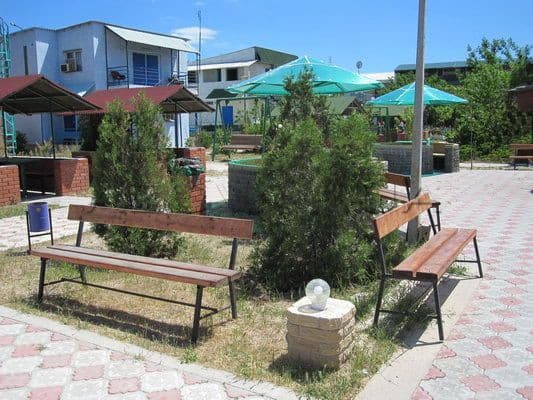 The recreation center "Sea Star" is located next to the second market in the center of the spit. Within walking distance are the grocery market, shops, café-bar. 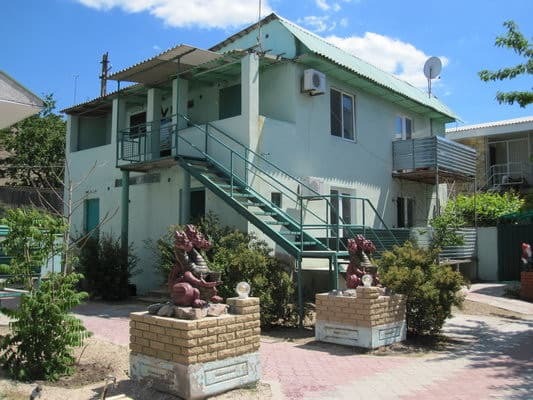 By train or bus to the city of Melitopol, then a shuttle bus to the town. Kirillovka on Peresyp to the recreation center "Sea Star".